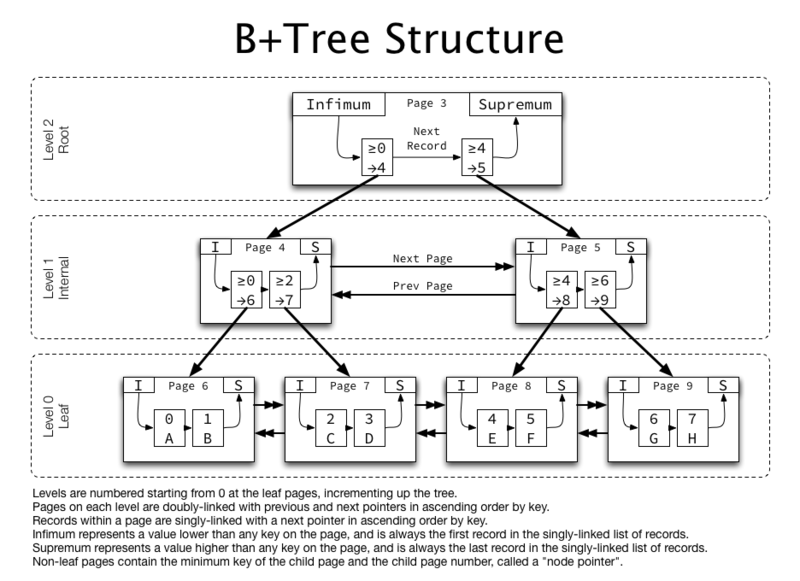 B-Tree routines with complete C source code. Well documented. or displayed on the terminal screen during the initial phases of the program. Use of these routines without proper attribution is not allowed. using these routines WITHOUT the required notice. These routines create and manage a balanced binary tree. published by Addison-Wesley, ISBN: 0-201-03803-X. The keyfile created to do this has two distinct parts. The first part holds the header information on the keyfile itself. be initialized by the TREEINIT program included with this library. The user must declare the length of the keys this file will hold. size of the key requires rebuilding the tree stored in the keyfile. the INSERT function without a thorough understanding of this material. that use functions that directly manipulate the terminal. proper usage, however the routines will not work without them. in BTREE0 can reference routines in TERMCTRL. true node deletion, I opted for a conceptually simpler approach. remains in the tree except it can't be "found." since an increase number of nodes are being read but "ignored." performance slows unacceptability due to an overabundance of deleted nodes. one. I call this a trick because how it works is not obvious. node 13 the current node - and now want to know what the next node is? to 14. How do we keep treck of which node is up one from here? reality, we use two identical stacks - a right one and a left one. at the head of the list (node 8) and move to the right (since 13 > 8). right (13 > 12) to node 14. We then push 12 onto the right stack. But there is something wrong. The left stack has bogus information in it. without some inherent knowledge of the tree structure which is impossible. below level 1 is no longer of any use and should be removed. to the next node (13).